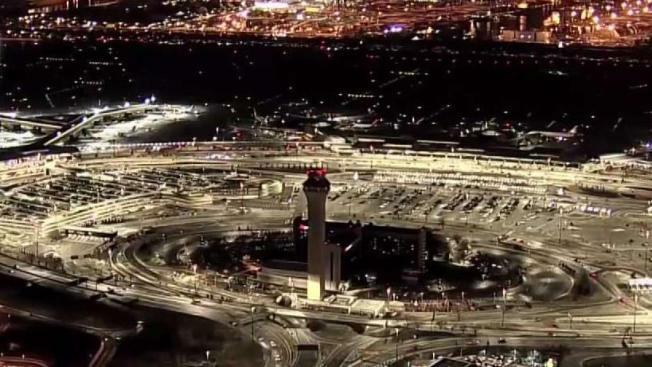 A ground stop was issued for flights to Newark Airport Tuesday evening after two drones were spotted in the airspace nearby, FAA officials said. Pilots headed to Newark detected two drones near Teterboro Airport, forcing Newark Airport to suspend arrivals. The FAA generally prohibits drones from flying within five miles of airports because of the danger they pose to the other air traffic. "We missed the drone by about 30 feet off our right wing," a pilot said in one air traffic control recording. "OK Delta 2340, just maintain 5,000, we're not going to run anybody else through there right now," the tower responded. Drones were spotted near Newark Airport Tuesday evening, prompting a ground stop there. With no one else allowed through, pilots had to circle the airport. 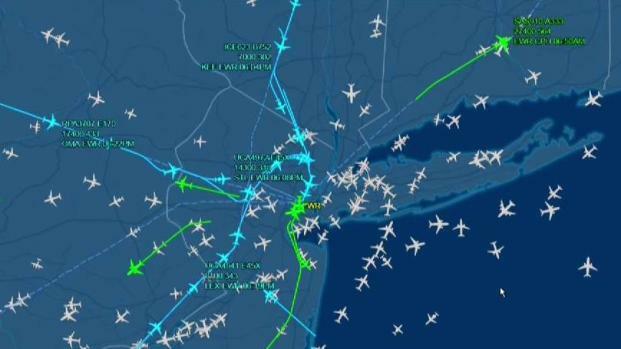 A flight map showed dozens of planes in the air surrounding Newark Airport around 6 p.m. Finally, planes already in the air were allowed to land, and passengers touched down much later than they'd planned. "We were circling near the Rochester area," said Thor Kongvold of Brooklyn. "We did one circle and then we came in." Marissa Nardi of Manhattan said her flight from Iceland took an extra 45 minutes. And Greg Nichols of Philadelphia said his plane circled for about a half-hour. The FAA resumed flights to Newark within the hour, once the drones were out of airspace. But it issued a ground stop for planes headed there from other airports until the backlog of flights could be cleared. The reported drone sightings come on the heels of disruptions at London's Heathrow and Gatwick airports in the last month due to drone sightings. A 36-hour closure scrambled plans the week of Christmas for more than 120,000 travelers. If you’re flying a drone near EWR right now, could you ground it and have a sandwich or something? You just shut down all arrivals. The FAA says it receives more than 100 illegal drone reports each month. The culprits behind Tuesday's drones haven't been caught, but they could face criminal penalties and fines up to $15,000.